Now that the weather has heated up here in the Peninsula I can safely start wearing my summer clothes again. One of my favorite pieces, partly because of the memories I have when purchasing it, is my handmade lace skirt I picked up while in Bali on my honeymoon. I love the detailed lace overlay of this skirt so I always pair it with solid colored tops to not take away from it. 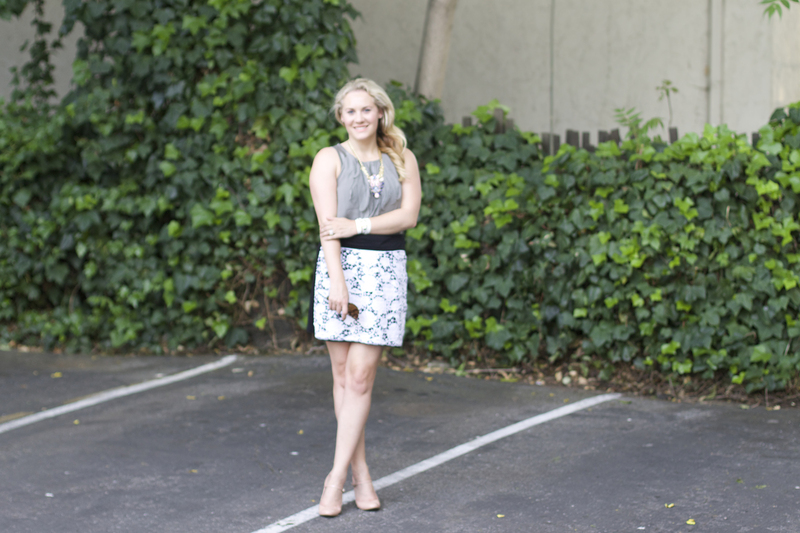 This skirt is also great to transition from day to night. You can see how I styled this for a night time outfit here. Necklace: Prima Donna. Top: Banana Republic, similar ruffle front blouse. Skirt: Uluwatu Collection, latest lace mini skirt. Watch: La Mer Collection. Shoes: Nine West, similar blush heels.